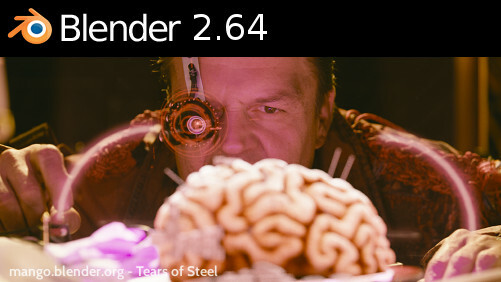 The Blender Foundation has announced that Its Open Source VFX pipeline Blender 2.64 is now available. This release was targeted at improving Blender for the Mango open movie project, along with integrating branches and patches from the past years. The focus was on creating a full VFX pipeline, with improved motion tracking using a planar tracker, easier green screen keying, and a new mask editor. A new tile based compositing system was added, along with more advanced color management. Cycles rendering got dozens of smaller features and improvements resulting from its use in production. Sculpting now supports masks, and a skin modifier was added to quickly create a model from skeletons. The game engine got improved shadows and physics options, and Collada export now has more options to tune for exporting to other game engines. More information and download here!